Learn how customers from different industries have anticipated up to $ 1M cost savings per month with simplified communications management. The 30min webcast will provide concise business cases for you to leverage with your company. 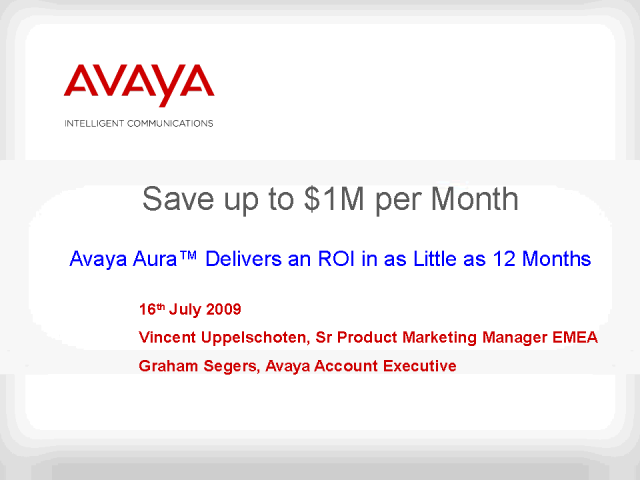 Learn how Avaya helped EDS centralise their contact centres and provide better communication options for their callers, whilst lowering costs, and increasing flexibility. Avaya delivers Intelligent Communications solutions that help companies transform their businesses to achieve marketplace advantage. Learn how other companies have done it, by Avaya experts and customers from Europe, Middle East & Africa.